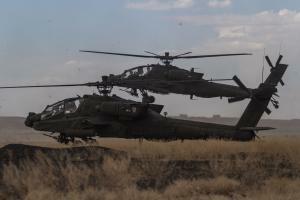 Jan. 21 (UPI) — A pilot and co-pilot were killed when their U.S. Army Apache attack helicopter crashed in California this weekend. Fox News said the incident happened early Saturday during a routine training mission at the National Training Center in San Bernardino County’s Fort Irwin. Pentagon, said in a statement. The Orange County Register said the soldiers were assigned to the 4th Infantry Division in Colorado. This is the first known fatal mishap for the U.S. Army this year.